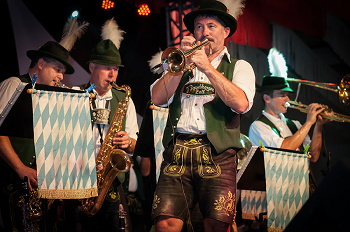 This October we will transform our courtyard Marquee into a traditional foot stomping Oktoberfest event with bier, live music, DJ with all the cheesy tunes and a of course, a great lively and vibrant atmosphere – be prepared to be entertained, Bavarian style! 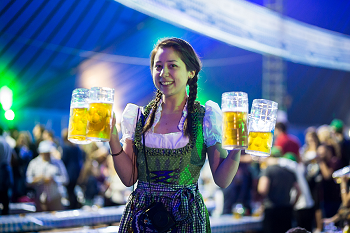 Top up your stein and step inside the Bier tent. Expect traditional folk dancing to Oompah music, foot stomping, table bashing and hearty singing galore – we’ve even got the words for you! 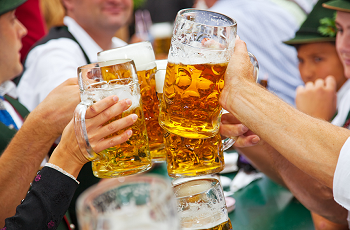 Enjoy some traditional German grub from the food tent and raise your voices and steins for a stonking Burton Oktoberfest at the National Brewery Centre...where else! Take a walk to the tasty side! Enter the food tent to the mouth-watering smells of traditional Bavarian Grub. Superb authentic dishes to choose from, all available to buy from the stalls. Pretzels – need no explanation! The Bar: Behind the bar you will find bier galore but don’t worry for those who feel like swapping your stein there bar will be fully stocked bar with a selection of all your favourite drinks. Deutsch Blasmusik - a traditional Oom-Pah band with a twist! A six piece specialising in whimsical and charming combinations of traditional German alongside quirky pop hits. All the classics are covered by this experienced Oompah band using their unique and fun filled approach to oompop! 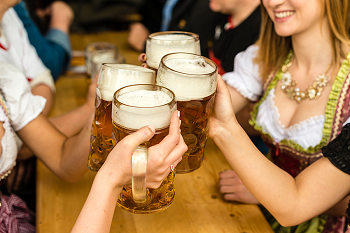 They get the audience involved with games such as Munchen State which is a dance at the table, Lots of Ein Prosit - a toast with singing along, boat races, Das Boot a downing a pint challenge and so much more. Tickets:- Friday and Saturday evening: Standing £10, unreserved seating £15, VIP table for ten – best seats in the house with table service£350.